This is the gloriously nostalgic story of Malcolm’s first year as an 18-year-old country fire-fighter. Set amidst the fields, farms and historic homes of rural Shropshire it opens a window on a long-lost world of larger than life characters, unlikely emergency calls and, to Malcolm’s complete astonishment, an awful lot of very unlucky animals. The story begins with his first day in a Shropshire fire station – a place where smoking was encouraged rather than just allowed and where a full bar served drinks practically 24 hours a day (fire engine drivers were limited to just four pints while on duty). 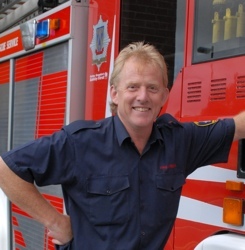 It was a world where some of Malcolm’s colleagues had been with the brigade for longer than he had been alive. 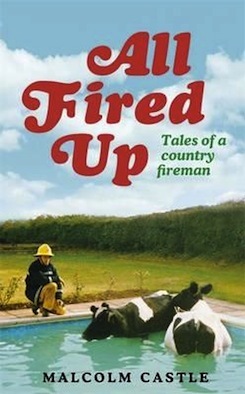 The book is a unique account of one eventful, probationary year in the fire service. It takes a teenage lad on an exciting and unexpected journey. From day one, right until the day he gets the results of his exams, it tells the story of a county boy growing up, gaining responsibility – and even putting out fires. "...a hugely entertaining read, one of those books which you finish and want more, and wonder what happened next."